Heartfelt Creations just launched the new fold out card sets. I used the new Fleur border dies and the Sun Kissed paper collection and dies to make this card. The season's greeting is a peel off and I used a Spellbinders die for the saying. 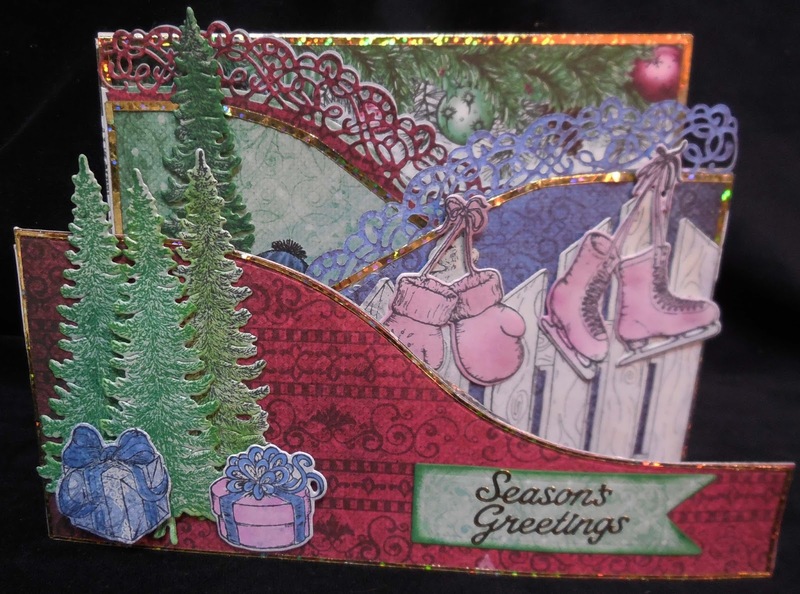 Very cute card, Karen, love the skates hanging off the border!